Cancer Trials New Zealand (CTNZ) was established in 2003 with a vision and commitment to improve cancer control through research. The primary focus of Cancer Trials New Zealand is to support the development of new research ideas from scientists and clinicians to the point at which they are ready for submission to the relevant project-funding body (Health Research Council, Cancer Society, Cancer Research Trust, Pharmaceutical Industry etc). Our focus is on those studies with relevance to New Zealanders, from supporting our own researchers through to improving the outcomes of New Zealanders at risk of or already facing the challenges of cancer. The scope of trials range from, discovering new ways of preventing, diagnosing, treating and monitoring cancer, to the refinement of established treatments and understanding the delivery of care within cancer services. Building and retaining a high-quality cancer research workforce in New Zealand is one of our great challenges if we are to keep pace with modern strategies in cancer research and care. 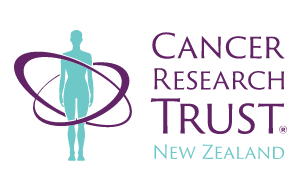 Establishment of Cancer Trials New Zealand was made possible by an initial three year foundation seeding grant from Auckland and Northland division of the New Zealand Cancer Society, and we are very grateful that they have been supporting our core activities annually ever since. With their valuable support we continue to work towards achieving our mission. To improve health and other outcomes for New Zealand by providing a national resource to design and perform clinical research in cancer.